Google’s ability to “see” text content and links within Flash sites has dramatically improved as a recent post on Google’s Webmaster blog highlights. It used to be that any content and links embedded within Flash were like black holes in terms of visibility and accessibility to Google. However, starting a couple years ago, Google has developed the ability to overcome this limitation and it can now index and follow buttons, menus and hyperlinks coded within Flash. This is definitely good news, but it’s not a green light to go out and develop you entire Website in Flash. In fact, our strategy for utilizing Flash within Websites has not changed from when it was not viewable at all by Google . . . we never create a self contained Flash Website but rather use Flash selectively as an option for dynamic content to be embedded within a rich HTML Website framework. This helps insure a optimal environment for Website performance, accessibility, usability and SEO. One of the biggest caveats for using Flash at all is the hatred that Steve Jobs seems to have for the medium. He is adamant about keeping Flash from working at on the iPhone and IPad which as you know have significant and rapidly growing market share within a high-value demographic. In fact, he personally posted a manifesto against the use of Flash on the Apple Website which is oddly captivating to read. 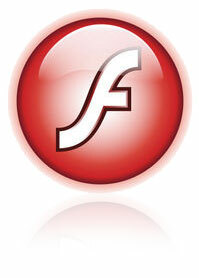 Flash remains a problematic medium at best for publishing content online. The lack of unique URLs, page titles, link anchor texts and content hierarchy are only some of the common issues and factors that make Flash content far more difficult to classify and work with for search engine optimziers. Compare this with HTML content and it’s obvious that the two cannot compete on a level playing ground. Regardless of what Steve Jobs might think, there is not one stock answer to the question of whether and to what degree Flash should be utilized on your Website . . . that answer will ultimately depend on a number of factors unique to your situation including the specific functions, goals and user profile of your Website and the alternate options available for dynamic functionality. The most important thing is to work with an informed and objective Web development firm (hey, that sounds like us!) to get a clear and objective picture of the pros and cons of Flash vis-à-vis your specific situation and goals.